Gravis Law, PLLC, is always seeking upbeat and energetic individuals to join our fast paced and growing team. Gravis Law is a formidable team. Our attorneys are well known in the region and enjoy strong relationships within the business and legal communities nationwide. 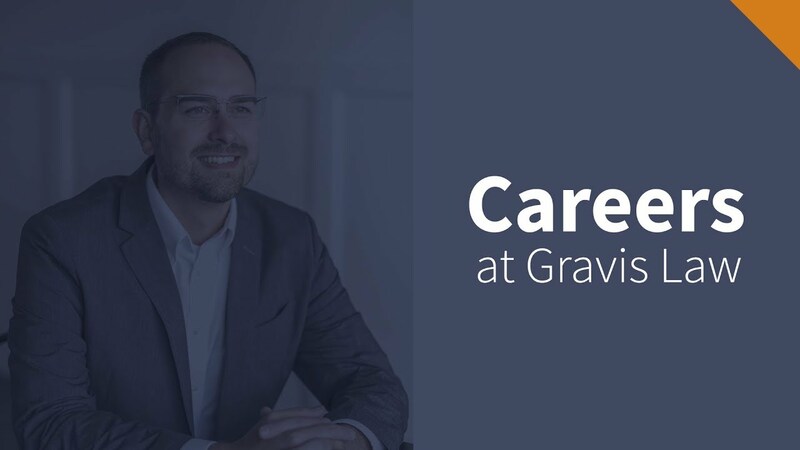 At Gravis Law you can expect a dynamic and driven work environment. To foster your success, you will be surrounded by a positive and supportive culture that encourages everyone to help develop themselves and others. Gravis Law is currently accepting applications from second and third-year law students for our Law School Internship Program. Successful candidates are generally in the top third of their class, have excellent writing and interpersonal skills, are proactive, creative, driven, innovative, and can think outside the box. We serve people and communities across the nation by providing accessible and uncomplicated access to world-class legal services.